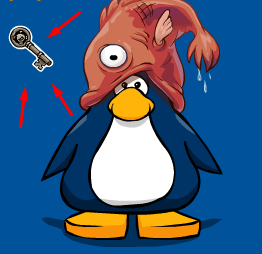 You may have noticed that some penguins have a key as their pin on their player cards. Today I will reveal the secret on how to get this secret pin. You first want to open your map and click the town icon. 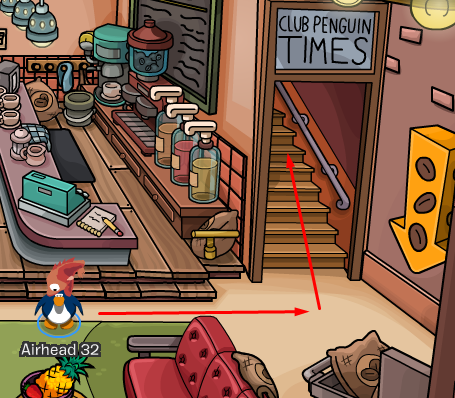 Once you are at the town you'll want to go inside the coffee shop and waddle your way upstairs. Next, you'll want to go to the book section. Click on the book shelf. 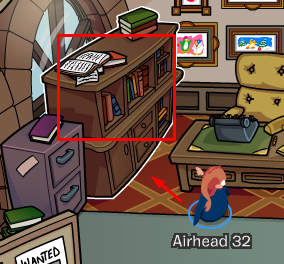 For the third step you need to open the book called "The Journal of Rockhopper". If you'd like you can read through the whole journal, if not, skip through all the pages until you get to the end. 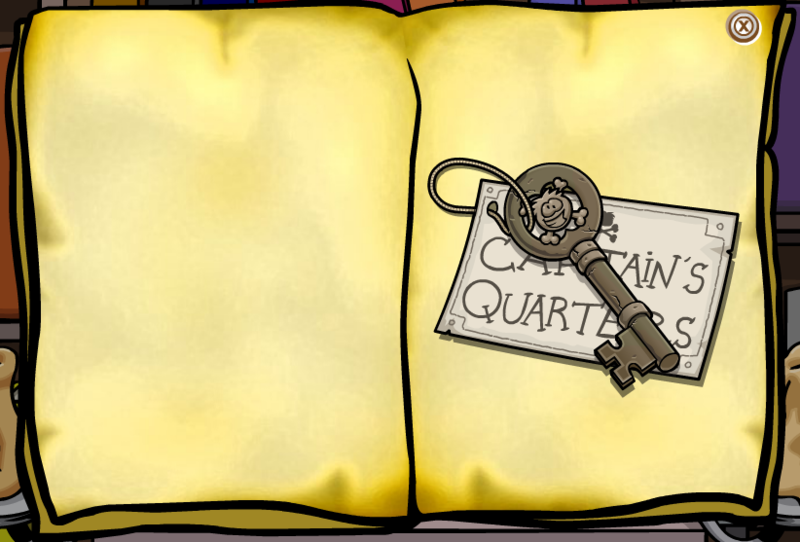 You will find the hidden key on the last page.